These were just two of the exceptional pieces of feedback that we received following last year’s Bordeaux Wine Month, held in June. There is no doubt that running an eye-catching promotion, featuring tastings and compelling POS is a great way to engage with customers, old and new. 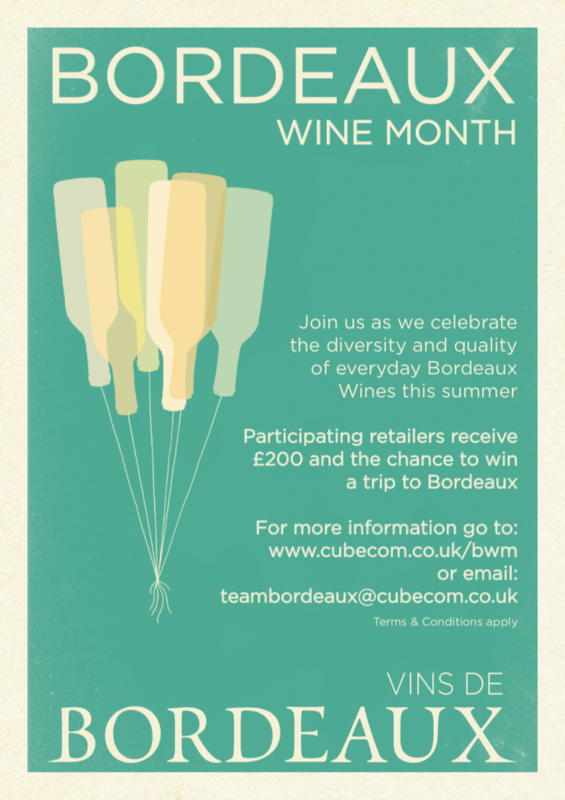 Simply commit to running an eye-catching promotion comprising of a minimum of three tastings of Bordeaux Wines in your store for at least two weeks during September. In exchange for your commitment to Bordeaux Wine Month, you will receive a comprehensive kit of publicity and POS materials including posters, postcards, leaflets, neck collars and corkscrews, as well as a payment of £200, to run a high visibility promotion. With a diverse range of styles, ranging from the classic red blends to crisp, zingy whites, delicious, juicy pink rosés and wonderful sparkling Crémants, Bordeaux offers something for everyone, whatever the budget or occasion. 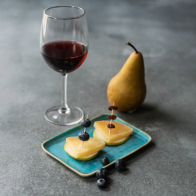 Bordeaux Wine Month is the perfect way to get your customers to try some of the wines and appreciate the styles and value for money that Bordeaux can offer. 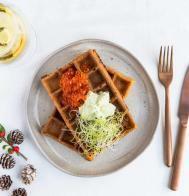 Choose something that will really resonate with your customers and be as creative as you wish – organise an in-store tasting, competitions or engaging displays, or why not partner with a local restaurant? And there’s another £100 up for grabs! Upload pictures of your activities on social media using #bordeauxwinemonth and tagging @bordeauxwinesuk for your chance to win an extra £100. The winner will be unveiled via @bordeauxwinesuk in October. The best promotions will be included in the next newsletter. Register your interest online or email TeamBordeaux for a registration form. This is a limited offer handled on a first-come first-served basis, and terms apply which are clearly stated on the registration page.